WPS Grade 1/2: Capacity, a maths experiment. 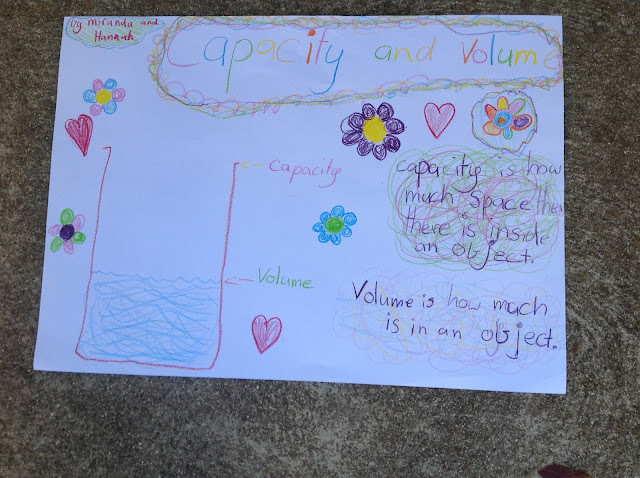 Lately we have been investigating capacity as part of our maths lessons and the best way to do this was to get hands on and test things out. 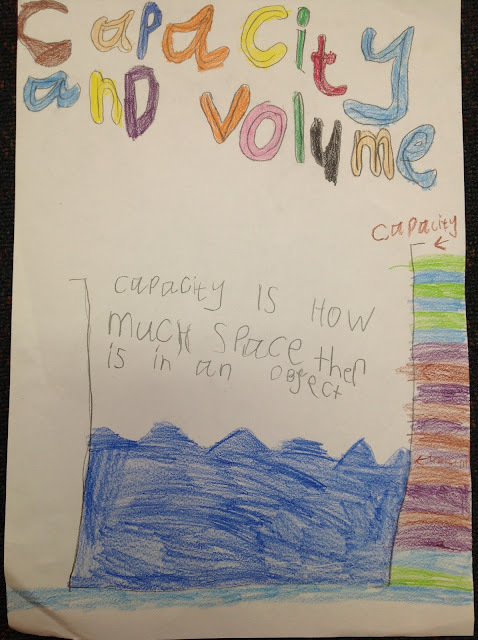 We have learnt that capacity is the space inside an object, in other words, how much we can fit into a container. 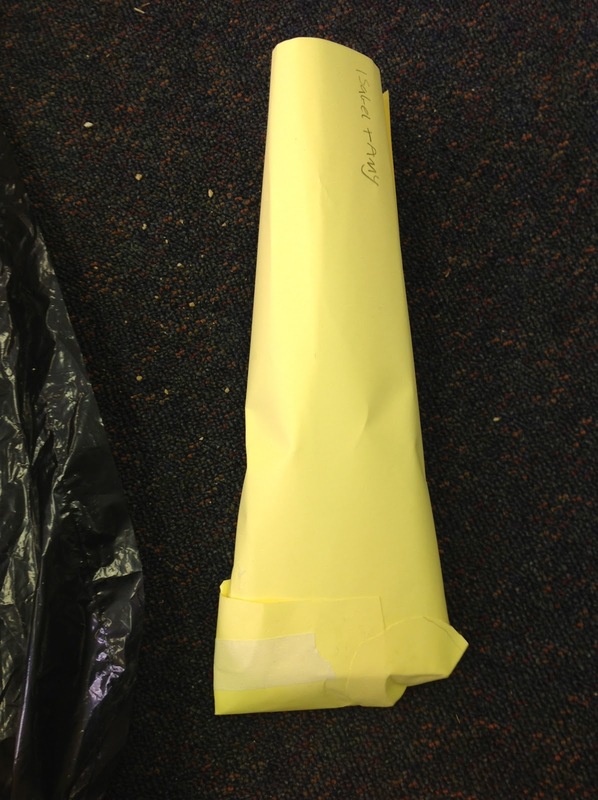 Read on to find out how we went about this. 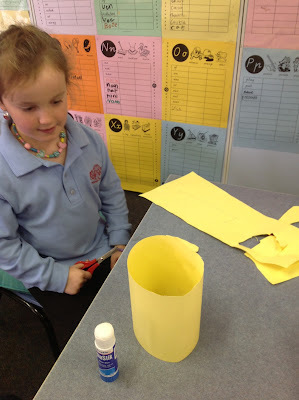 First up we collected some containers from home so we could compare them. Some were big, some were pretty small, some were round, others squarish and some were a strange shape. This led to some great discussions as everyone gave their thoughts on which containers were biggest. Was it the tall one or the fat one? 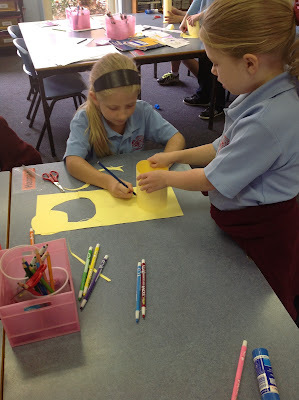 It really was pretty tricky and we couldn't decide on an answer so we would have to wait and see. Next it was time to test out our thoughts. 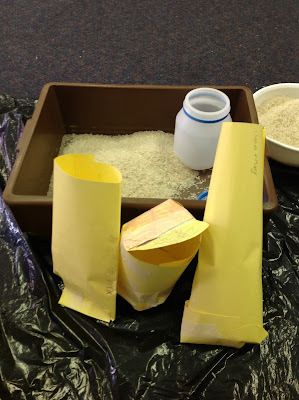 Using rice we filled the containers using a measuring cup to see how much they each held. 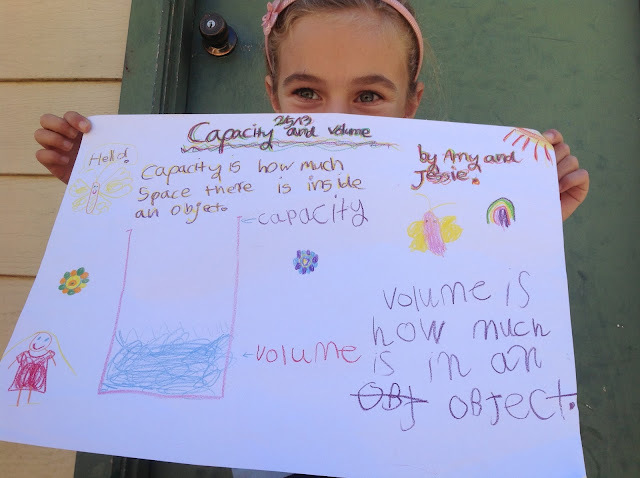 We found that some of our estimations were not quite right, and that just because one container was tall, it didn't mean that it had the largest capacity. 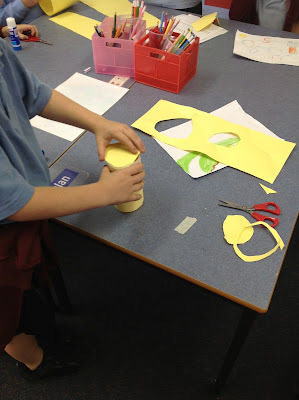 We also found that some containers looked very different in shape, but were actually very close to having the same capacity. After another big discussion we shared what we found and what had learnt from this, it was great to have so many people sharing their thoughts. 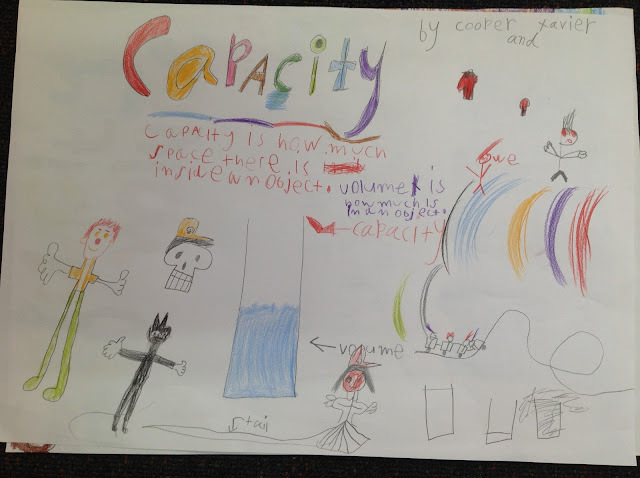 The next part of our capacity challenge to to become designers. 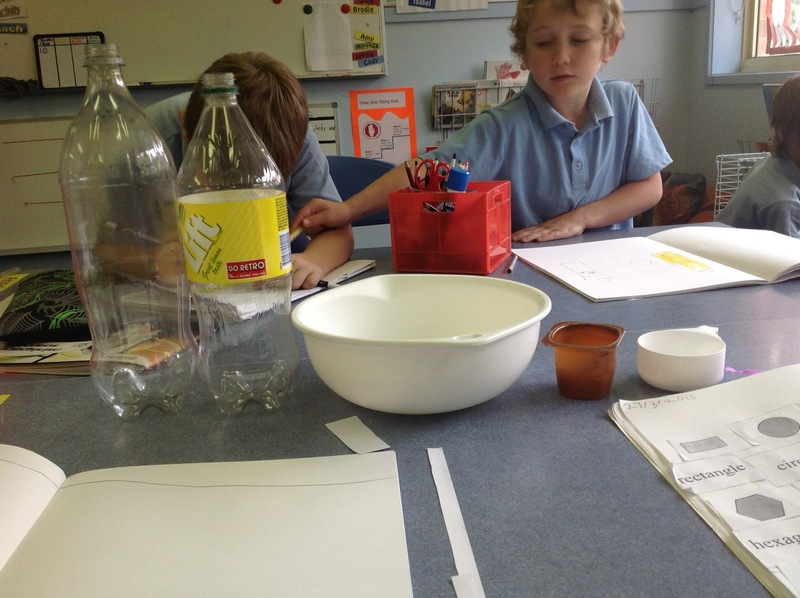 Using what we had already learnt we had to design and make a new container that would have a capacity of one litre. 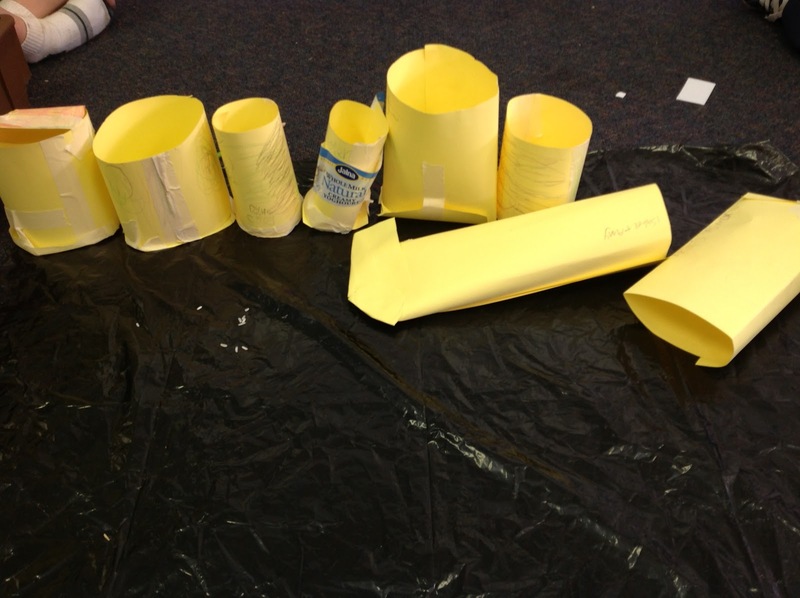 We weren't allowed to measure or test our designs, it was left to our estimation skills. We constructed our new designs out of paper and got them ready for the big test, with house points up for grabs the competition was hotly contested. 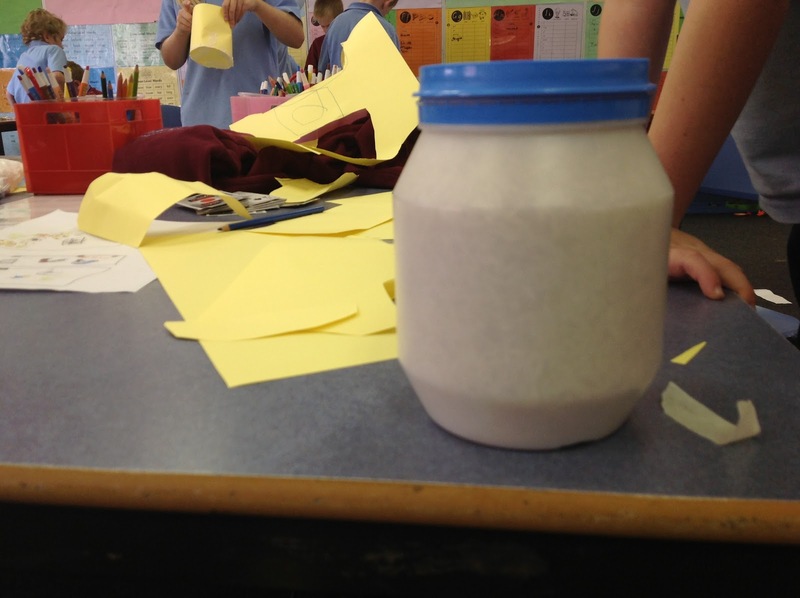 One container was even given a special flip top lid! 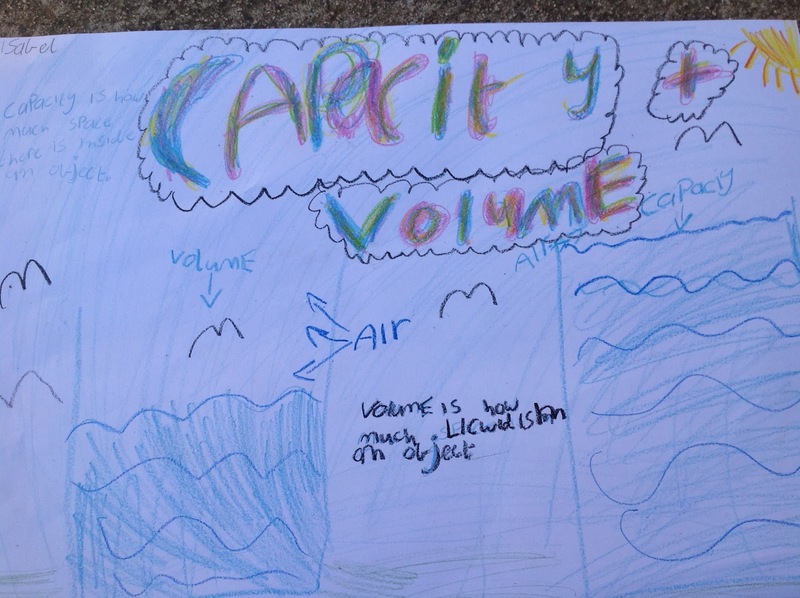 But in the end only the closest to a one litre capacity would take out the prize. All our containers were lined up and again we made our estimations and predicted which containers were most likely to win, and shared our thoughts on why. In the end it was the team of Sam and Xavier who came up with the winning design, congratulations boys, and fantastic job!! Did you pick the winning container?? 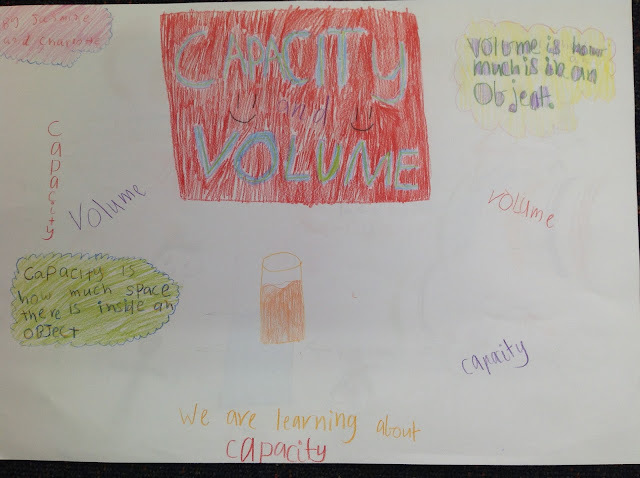 Here's a few posters to show what we learnt about capacity and even a little on volume and how it is different.